"Just to give you an example of how we worked: I was in the studio with Ian one day, we wanted to go see a movie, we wanted to decide at the cinema which film. We drove there, saw that films were about to start in 40 minutes, so we drove back, bored, and thought let's make a record! We recorded as we programmed the machines, in real time. One EP took like 25 minutes to make... we were that fast. It was all about feeling and instinct. The we drove back to the cinema and watched Apollo 13 which kind of sucked. 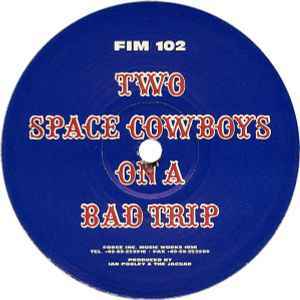 So we called the EP "Two Space Cowboys On A Bad Trip"